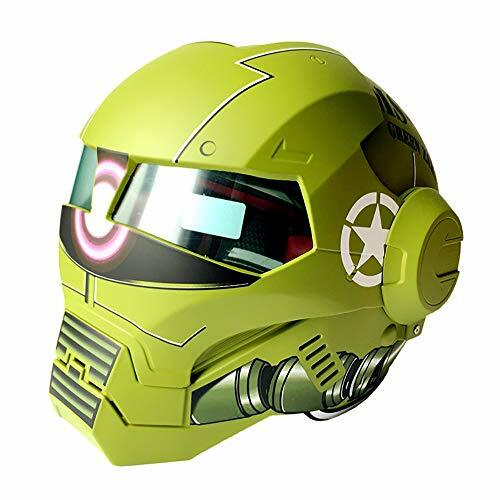 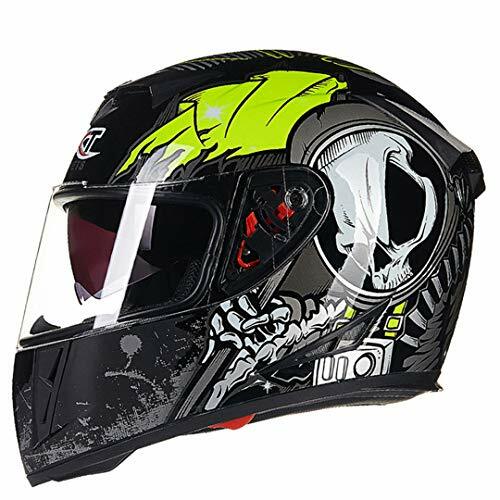 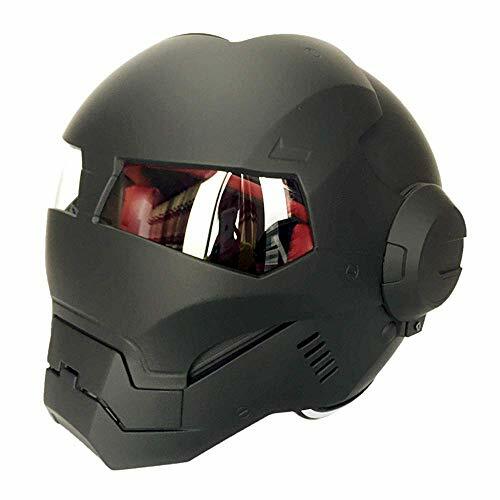 Features: * Lightweight ABS shell with comfortable & heavily cushioned interior * Air vents to create light flow of air for cool and comfortable riding * Built-in double visors - wide visual field clear visor & inner sun visor * Tough & high elastic front visor for great impact resistance * Streamlined aerodynamic design - reduces wind noise and drag * Removable and washable cheek pads for easy cleaning * DOT approved for US safety standard Specifications: Size: S Fits Head Circumference: 21 5/8" x 22 1/16" (55 to 56cm) Overall Dimension (LxWxH): 10 7/8" x 14 3/16" x 10 1/4" (27.5 x 36 x 26 cm) Material: ABS, EPS Net Weight: 4 lbs (1.8 kg) Package Content: * 1x Helmet * 1x Bag * 1x Manual Notice: Before purchasing, please measure your head's circumference to determine which size is suitable for you. 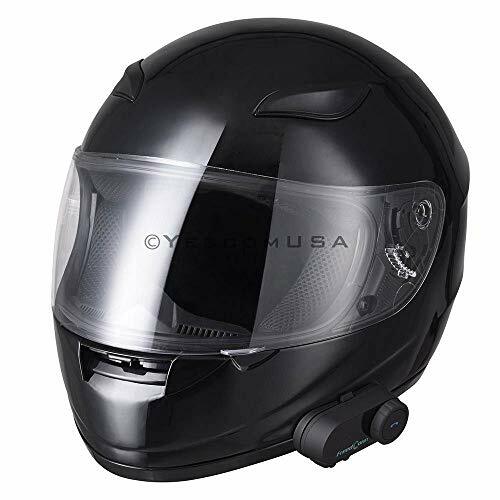 Features: * Lightweight ABS shell with comfortable & heavily cushioned interior * Air vents to create light flow of air for cool and comfortable riding * Built-in double visors - wide visual field clear visor & inner sun visor * Tough & high elastic front visor for great impact resistance * Streamlined aerodynamic design - reduces wind noise and drag * Removable and washable cheek pads for easy cleaning * DOT approved for US safety standard Specifications: Size Optional: L Fits Head Circumference: 23 1/4" x 23 5/8" (59 to 60 cm) Overall Dimension (LxWxH): 10 7/8" x 14 3/16" x 10 1/4" (27.5 x 36 x 26 cm) Material: ABS, EPS Net Weight: 4 lbs (1.8 kg) Package Content: * 1x Helmet * 1x Bag * 1x Manual Notice: Before purchasing, please measure your head's circumference to determine which size is suitable for you. 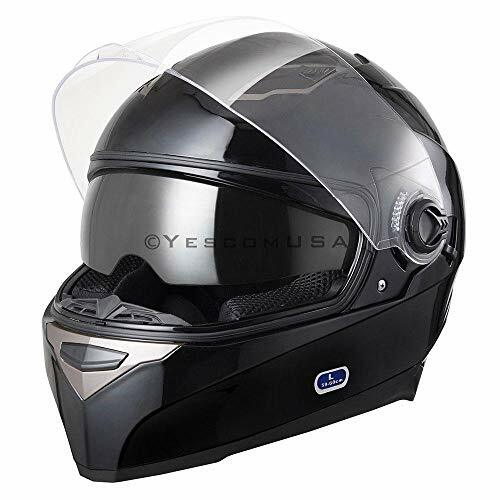 Features: * Lightweight ABS shell with comfortable & heavily cushioned interior * Air vents to create light flow of air for cool and comfortable riding * Built-in double visors - wide visual field clear visor & inner sun visor * Tough & high elastic front visor for great impact resistance * Streamlined aerodynamic design - reduces wind noise and drag * Removable and washable cheek pads for easy cleaning * DOT approved for US safety standard Specifications: Size: M Fits Head Circumference: 22 7/16" x 22 13/16" (57 to 58 cm) Overall Dimension (LxWxH): 10 7/8" x 14 3/16" x 10 1/4" (27.5 x 36 x 26 cm) Material: ABS, EPS Net Weight: 4 lbs (1.8 kg) Package Content: * 1x Helmet * 1x Bag * 1x Manual Notice: Before purchasing, please measure your head's circumference to determine which size is suitable for you.